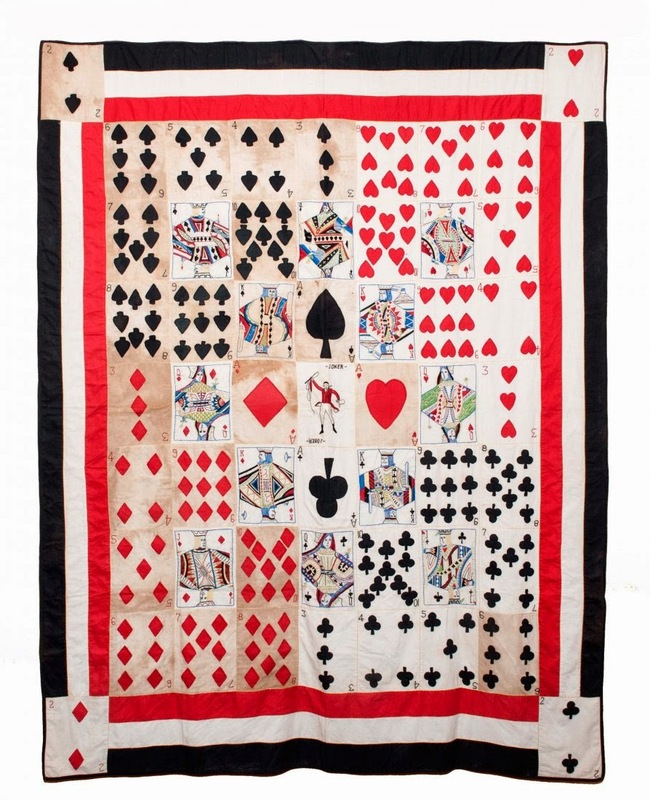 Hand Embroidered Folk Art Playing Card Quilt. American, ca. 1932/1933. Silk and cotton embroidery on muslin with no batting, sewn by Margaret Bevins Russell (1916-1986) of Greenbackville, VA. 82 x 62”. Ms. Russell made the quilt at the age of 17 while recuperating from a serious illness and likely took over one year to complete.